I started The Jane Austen Book Club as soon as I finished The Myth of You and Me. Like Myth, this book was easy to read. Fowler’s prose is fresh and without pretense. Her skill as a writer is that she made each character spring from the page- even though there is nothing traditional in the way she tells their stories or in the way that these characters come together. Joceyln, Sylvia, Bernadette, Prudie, Allegra and Grigg (a man) meet to discuss Jane Austen novels. Whether you have as deep and abiding a love for Austen’s work as these characters do hardly matters: you’ll grow very fond of the characters all on their own. Their personal histories, carefully chosen anectdotes, illustrate some of the very same observations Austen made about the people of her generation. And Fowler observes them with as much good natured affection as Austen observed her characters. 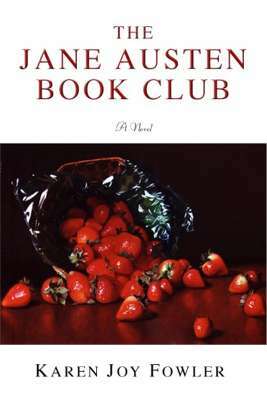 This entry was posted in Uncategorized and tagged 2007, Book Review, popular fiction by Christie. Bookmark the permalink.